The voice acting in the film is fairly strong across the board. Jenny Slate and Kevin Hart are perfectly cast into their roles and steal the show on the charisma front, although Hart gets a bit too cartoonish at times, even for a cartoon. C.K. also does well, bringing his deadpan delivery to good comedic effect. The film’s premise, which it leans heavily on, is interesting but shallow. An opening montage illustrates it well enough and with good comedic pacing, and a sewer scene turns the premise on its head in an interesting way. Beyond these moments, the movie is a search and rescue narrative a la Finding Nemo or this year’s Finding Dory. What drags this film down is its lead characters. While the supporting characters have fun and energetic personalities that are perfect for a children’s movie, Max and Duke have much less to offer. They are set up as foils to one another, but this dynamic never comes to a head, leaving the main thread of the film to be slower and in wont for something more. The narrative itself is similarly flawed by its emptiness. Plot points are presented and then are dropped with little build up or narrative pressure. Certain scenes meant to elicit emotional responses pass by too quickly to really land with grace. The plot feels jumbled, as if the screenwriter took a premise and ran with it before really figuring out where the story should go. 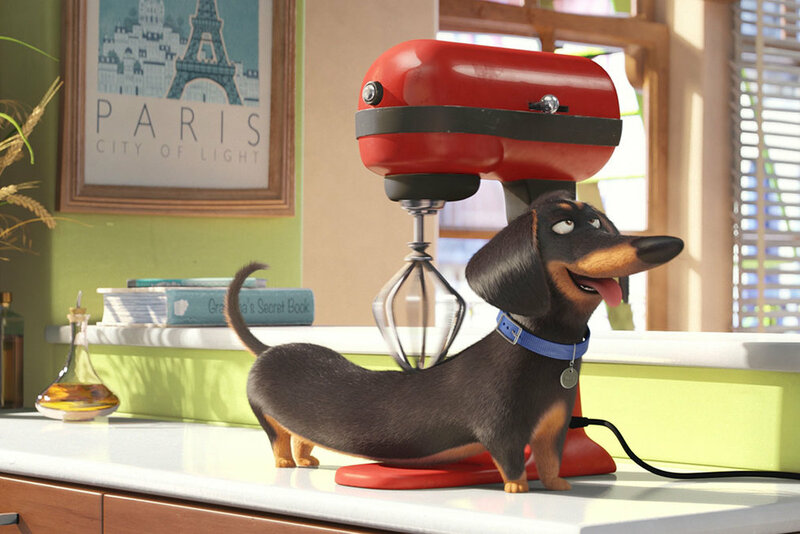 The Secret Life of Pets, for the genre it is in, is fine. Its narrative sorely by the numbers and not fully developed, it does not provide enough to break any new ground in the animated realm. Given the film is being released on the heels of two other animated films, one a major box office success and the other a carefully crafted vision from a well-known auteur, Pets just doesn’t feel like it has anything to offer that is already out there.